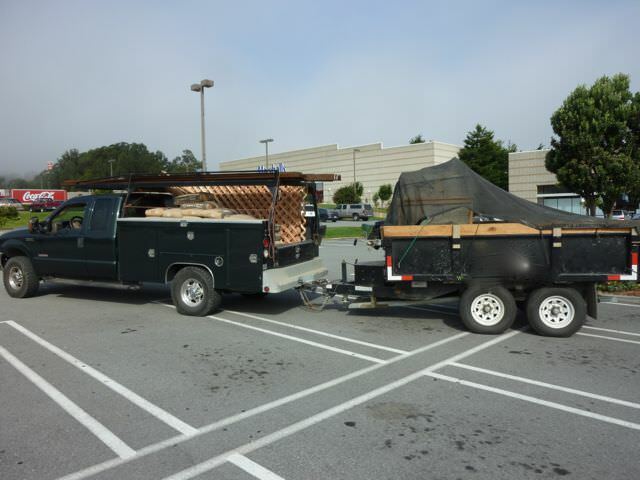 Our 2003 Ford F-350 Diesel proved to be inadequate for pulling our fully loaded trailer which weighs in access of 16,0000 pounds. Hauling this much weight up and down the hills of San Francisco has ruined 2 two new transmissions and is really working the third. Last year, while working on a project in Bernal Heights, we got stuck at the bottom of Elsie Street with a full load of gravel. Time for something heavier.